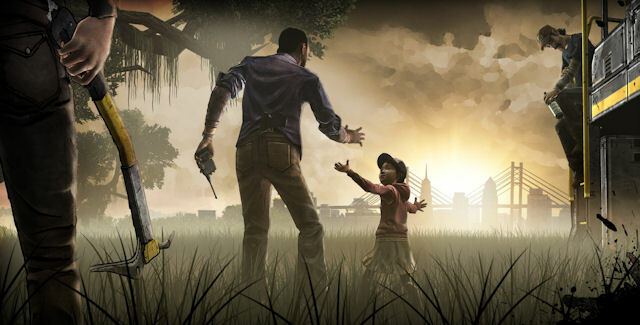 The outstanding comic book and AMC series makes you think about, who do you trust in this remarkable video game in the Walking Dead Universe. The story is a emotional roller-coaster that constantly forces you to make hard decisions even life or dead decisions. Your choices make the dialog of the other surviving members change as well and changes how they fell about you. This also impacts if they are willing to trust and help you. 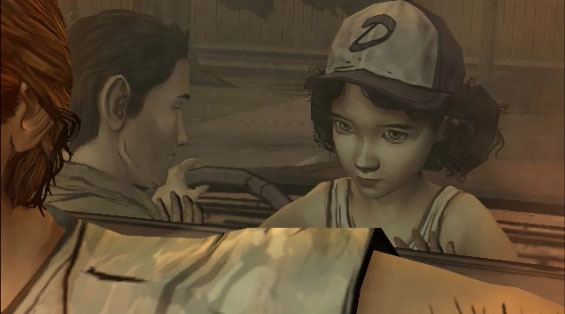 You play as Lee right before the outbreak happens and shortly after everything goes crazy you come across Clementine who is on her own trying to survive the zombie outbreak. She is waiting and hopeful that her parents will come home even though it has been several days with no communication from them at all. Wow is this game good, we mean really outstanding. The story is great all the way through and it does not matter what decisions you make, you will be happy with the storyline. The voice acting is perfect and written in a way that you want to replay the game over and over again to find out what other things that are going to be said. The thing we liked the most about the dialog is that there is a lot of funny moments. At any time someone could be taken out but in-between the moments of life and death the characters comedic humanity shows through and you find yourself laughing at some of the things they are saying when the action stops. There is also long conversations between the non-playable characters that you can interact with or just step back and let them go at it. You could play the most of the game and make almost no decisions and get yet another storyline. There is not a single camera or control issue the whole time and the music is powerful. The camera itself feels like a character, it move like a person when the action happens and it stops and stands back like a person watching what is going on. It almost feels interactive. The music is sweet and somber during the hard times and intense during times of struggle. The best part there are times where there is no music at all, they really made some great choices when it came to sound effects. You need to know this game is brutally honest in it goriness. There are things that you have to do that will make you cringe. The look and art style has an comic book look to it and it is outstanding. The animation and controls are so good for a game that is mostly a point and click. Being on our fourth time playing through the game the replay value and amount of time for a single play through should be obvious, tons of hours of game play. 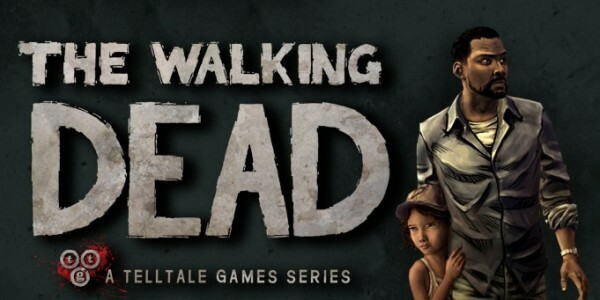 Just can’t say enough good things about The Walking Dead, it goes on sale all the time and is worth buying even at a new game non sale price!